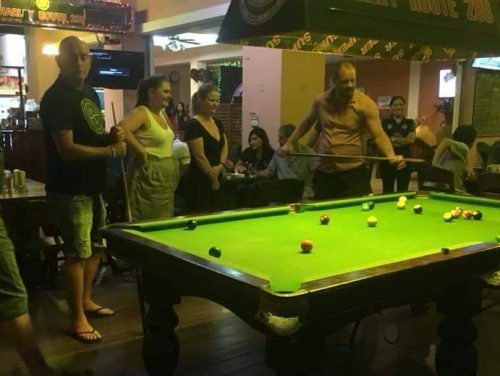 A good turn out for The GOMS Killer Pool Comp and for Harley Bar Route 288. 25 people entered the competition both Thai and farang men and ladies, watched by a big audience. There was a great atmosphere and fun was had by all. The winner was Steve (pictured on the left ). Steve won A Meal For Two courtesy of Harley Bar Route 288 and two free drinks courtesy of The Buriram GOMS, Well Played Steve! 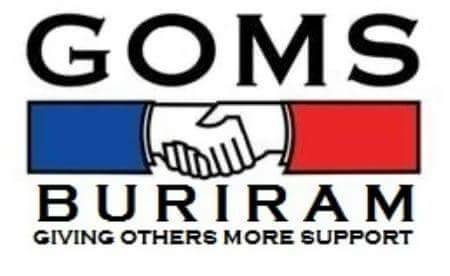 The next GOMS meeting for any guys 40+ that may be interested in joining and raising funds for local Buriram charities is on Thursday 1st February 2018 at 4pm (16:00) @ Harley Bar Route 288.